Brett and on point inspections was very thorough with all aspects of the home inspection. Prices being extremely reasonable for such quality work! Quick, prompt and willing to work around your schedule is why I hired him for the job. The fact that I received my report within 24 hours was outstanding! 5 stars and would recommend him to anyone looking to purchase a home! Brett is very professional, detailed and helpful. He did an amazing job informing us on our newest home purchases and made sure we understood everything that he said and wrote in his report. I will always come back anytime I’m buying a home! As stressful as this house buying process is, the inspection aspect was honestly the easiest part of it all! Not only was Brett able to come do it the next day, even in the rain, he has the best prices that my husband and I found! He is very professional, answered every questioned we had, and explained it more than once when I didn’t understand it! We will definitely use him again if ever needed and will refer him without any hesitation! Brett was very personable, professional, and extremely patient with me during our new home inspection prior to our purchase. I definitely would recommend his services as he is very precise and thorough during the inspection and will take the time to explain any issues that he may find or that he thinks are relative now or in the future. Extremely satisfied with our recent home inspection. Brett is very knowledagle, detailed and provides exceptional service. 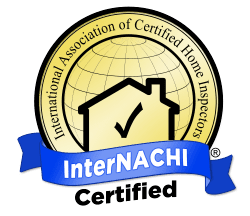 Our inspection report was provided within hours after the inspection. The report was very organized with detailed information and pictures. I highly recommend Brett with Onpoint Property Inspectors! If you are looking for attention to detail then you have found the right inspector! He will literally comb every inch of your house to make sure there are no surprises. This is the best home inspector around, no doubt. Brett is personable, honest and extremely knowledgeable at his trade. 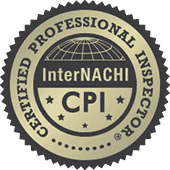 We will be sure to use On Point Property Inspectors for all of our future inspections!